Yes, Gandalf himself, Sir Ian McKellen signed for me in February 2010. He was performing in Waiting for Godot at the Haymarket Theatre Royal. Lovely man, great play. 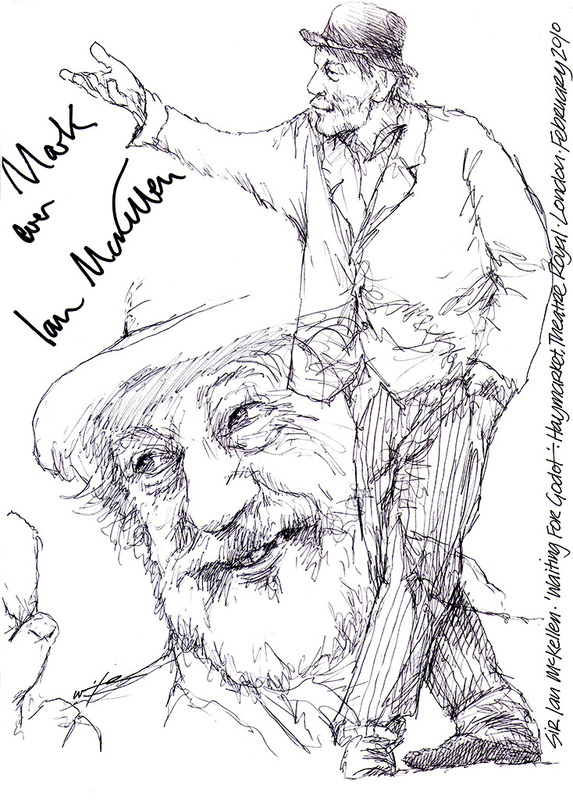 This entry was posted in Celebrity, Film and Television, Theatre and tagged Autograph, Drawing, Gandalf, Haymarket Theatre Royal, Ian McKellen, London, Signature, sketch, Theatre, Waiting for Godot, West End by Mark Winter / Chicane. Bookmark the permalink.